Dr. Olena Mazurenko has been awarded an Indiana CTSI Young Investigator Award position for 2017-18. Dr. Mazurenko will receive funding for a 12-month period from July 1, 2017 through June 30, 2018, with 75% of her time dedicated to research. Join us in congratulating Dr. Mazurenko on this honor! HB2010 was passed by the Texas State House of Representatives and passed to the Senate. This bill aims to promote workplace hazard awareness training for young people before they graduate high school. 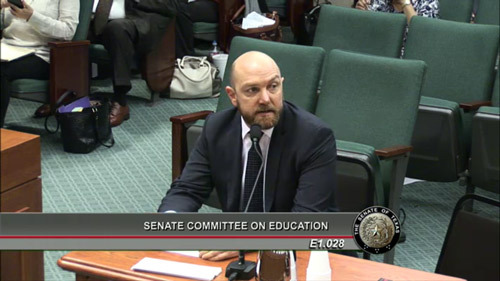 Dr. Lacey testified before the Senate on Wednesday, May 17 and had this to say about the bill, "If we are successful in getting similar legislation across all 50 states, it could be transformational for the future of worker health and safety in the United States." In May 2017, Basia Andraka-Christou was awarded the Outstanding Dissertation of the Year Award by the Indiana University Maurer School of Law for her 2016 dissertation Social & Legal Perspectives on Underuse of Medication-Assisted Treatment for Opioid Dependence. Sarah Johnson has accepted the position of lecturer and BSHSM program director in HPM. She will officially start in this capacity on July 1, 2017. Join us in congratulating Sarah on her new position! We hope that you will welcome our new staff members! 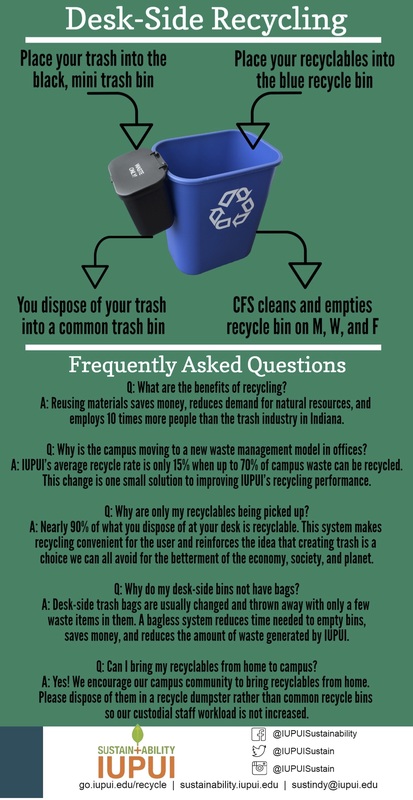 Deskside recycling is coming to FSPH. 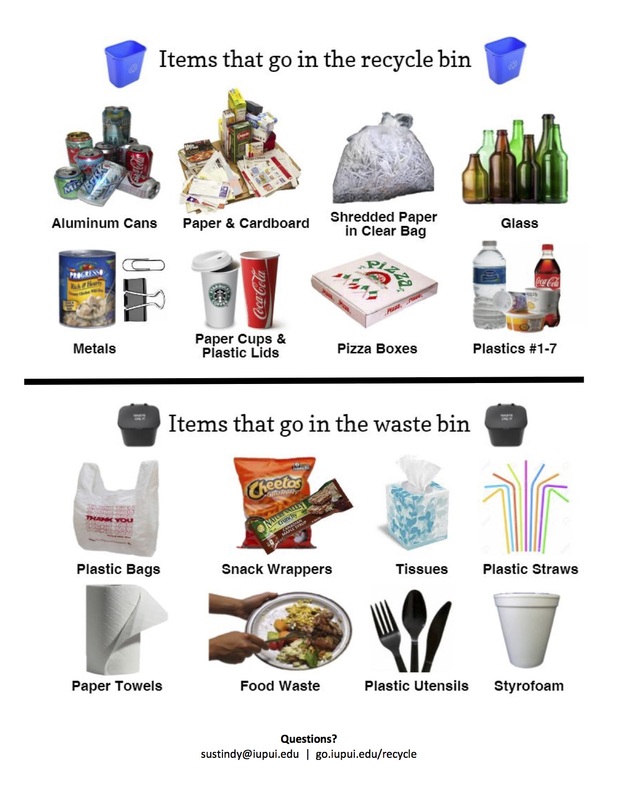 IUPUI is moving to a new waste management system in offices. Nearly 90% of what is disposed of at desks is recyclable. This system makes recycling convenient for the user. Desk-side trash bags will be eliminated with this new system. Learn more about the new system in the infographics below.